This week I am going to talk about television shows. I have been absolutely obsessed with some shows. At the bottom of the post will be linked the bloggers who did the Five Favorites Post this week. 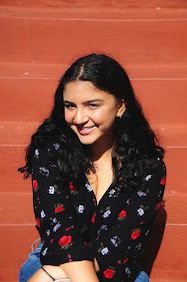 Email me if you want to be part of the series at thisfashiongirl1@gmail.com. American Horror Story is a television show that is on FX on Wednesdays at 10pm. The season 4 finale is this week. The show has four seasons that are totally different from one another because they have the same cast but in different plots. The seasons are called (in order) Murder House, Asylum, Coven, and Freakshow. The show is only 12-13 episodes a season. This was my first year watching American Horror Story and I watched the first three seasons within 2 weeks and I was absolutely hooked on it. 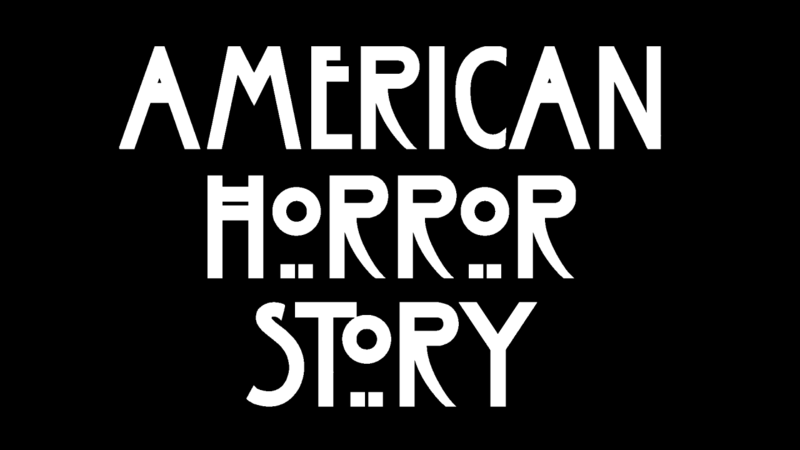 The main cast is Jessica Lange, Sarah Paulson, Kathy Bates, Evan Peters, Emma Roberts, Taissa Farmiga, and Lily Rabe. The show has many guest stars such as Neil Patrick Harris and so many other talented actors. The show is not as scary as everyone thinks it is, it's more disturbing if anything. There is some gore but the show is so good and I recommend it. I have watched this show since I was 11 (it started in 2010) and I still love this show. Pretty Little Liars is in its sixth season now and just get crazier. The style and fashion on show matches all the characters personalities and are perfect. The main characters are Aria (Lucy Hale), Hanna (Ashley Benson), Emily (Shay Mitchell), and Spencer (Troian Bellisario). They deal with the death of their friend Alison (Sasha Pieterse) but the show's plot is always changing and keeps you on the edge of your seat. I recommend if you are going to start the show, start from the beginning so you don't get too confused. Pretty Little Liars is on ABC Family. If the name of the show sounds familiar that is because America tried recreating this show on MTV. The American version lasted one season and was just a bad knock off version. Skins UK is seven seasons and originally aired on televisions in United Kingdom. Each two seasons was a different cast and it's about growing up in England from teenagers point of view. My English teacher who is from London told me that the show is a bit exaggerated but I still like the show. Three of the most famous actors from this show is Nicholas Hoult (Warm Bodies & X Men), Kaya Scodelario (The Maze Runner), and Kathryn Prescott (Finding Carter). The show has a lot of cursing and some content that is not for younger viewers but all together is a good show. Modern Family is a comedy that is really popular here. This show changes the way of thinking in television because the "modern family" in this show is a married couple with three children. But the wife 's (Claire) father is remarried to a Colombian woman (Sofia Vergara) who is 20 years younger than him and has a son. Claire's brother is married to a man and has an adopted child. This show is accepting to many people and is such a funny show. I watch it every week with my parents because adults and children find it funny. Gossip Girl was a famous show on CW that was on from 2007-2012. The cast included Blake Lively, Ed Westwick, Chase Crawford, Leighton Meester, Penn Badgley, and Taylor Momsen. This show was filmed in Upper East Side of Manhattan ais about the life of teenagers in New York. I finished all six seasons last year and I definitely recommend it. The show is filled with style and scandal and the cast is just amazing. What are your favorite television shows? Do we have any of the same? Comment below! Also check out my posts from last week. i adore AHS and modern family! I love this list the only one of these shows I have watched is modern family which is perfect so I will definitely checkout some of the other shows you recommended! !